Michael Lewis: The Market is Rigged – Rush Limbaugh looks at one of the ways by which small time stock market investors are ripped off in the way the markets are set up. Just like a lot of famous scams that exploit cost rounding, the individual amounts of a fraction of a cent seem meaningless until you multiply them by the billions of transactions involved. Then, it becomes serious money. How the Rich (and Poor) Avoid Paying Income Taxes – Some more superficial looks at how some people don’t have to pay any income taxes, as an attempt to encourage more tax reform maneuvers in the never-ending search for the elusive “fair and simple” tax system that everyone claims to want. Party of the rich: In Congress, it’s the Democrats – Standard hypocrisy from the JackAss Party. Let’s see if Darrell Issa can follow through on his so-far empty threats against the BHO regime. To date, he’s been pretty much all talk and no action when confronting the BHO Regime crimes. Christie and the IRS – Interesting comparison of the MSM’s handling of the IRS and Christie scandals. What “Income Inequality” Really Means – Rush looks at the centuries’ old promise of socialism, that income and wealth equality are achievable with the right people commanding the economy. IRS: Obamacare Raised Taxes for Some Children – The ridiculous Kiddie Tax may be higher for some kids. Key Tax Changes for 2014 and Beyond – I’m still betting that many of the ObamaCare related taxes and fines will be changed before next year’s taxes. Proving that idiot libs aren’t just a scourge here in the USA, check out this “genius” in the UK. 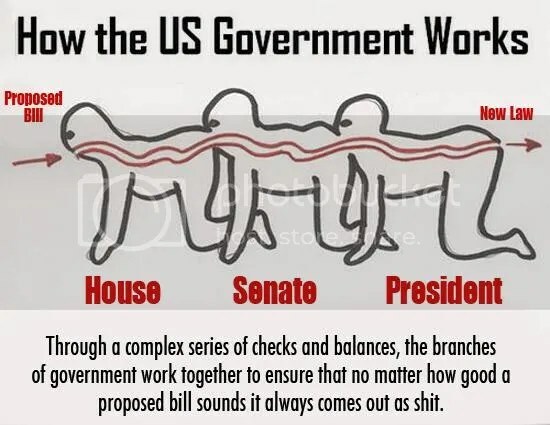 How long do you reckon it will be before the DemonRats on this side of the Atlantic start using this same rationale for tax hikes? It’s eerily too similar to the moronic comments by our clown VP, Joe “Bite-me” Biden, when he said that paying a lot of taxes is the most patriotic thing we can do. Of course, the Dims in DC won’t stop at just 40%. They’ll tout the imaginary aspirational benefits of going back to a top Federal tax rate of 90%. As always, that will make sense in the alternative universe called Washington DC, where fundamental principles are opposite what they are for the rest of us, who happen to still reside on planet Earth. Almost everyone is aware of the normal time-frame for an IRS audit. A year or so after the tax return is filed, a letter is received from IRS announcing an examination and spelling out certain items that they want to see documentation for. How about receiving a letter from IRS now, before your 2013 tax return is even submitted, announcing that it is going to be audited? That was the story of a lady from Bristol, Indiana, who called in to the Rush Limbaugh Show yesterday. She believes that this threatening letter was due to her donations to the Romney 2012 campaign and IRS is trying to scare people from donating to GOP candidates for 2014. With what we know about the BHO Regime’s use of IRS to harass political opponents, who can deny this to be entirely plausible. Because Rush was out and Mark Steyn was filling in, there was no text transcript of the show as is the case for all of the shows Rush hosts; so I excerpted the audio segments dealing with this topic and hopefully, it will show up in a player here in this post. I have had cases where clients had come in who had not filed several years of tax returns and IRS or FTB was on their butts to bring everything up to date. In those cases, either implicitly or explicitly, I knew that some or all of those returns could be audited. However, I had never heard of an announced audit of a current year tax return that hadn’t even been filed yet. I hope Patricia and her husband file for an extension for their 2013 returns and they raise holy hell to their US Senator and CongressCritter to investigate this clear abuse of power and that anyone else in a similar situation does the same. While it’s hard to tell, Congress does still technically have funding power over the IRS. As Mark Steyn says, we need to push back against blatant abuses such as this. If we just meekly bend over and allow IRS to have its way with us, this can only get worse. If enough people stand up and tell BHO and his IRS goons that they will continue to donate to the candidates of their choice, we may be able to slow them down with their Gestapo tactics. The IRS issued a warning that people who don’t buy Obamacare this year will face a “shared responsibility payment” next year. All of which the government will spend on the ink to write “shared responsibility payment” instead of “tax”. In New Jersey, more than 1,000 people showed up at an Atlantic City casino, hoping to get one of 50 jobs it was offering. Unfortunately, “getting a job” is the game with the worst odds in the place. Russia said that if the US tried to impose sanctions, they would take actions that would “crash” America’s financial system. OK – line forms behind Obama. It’s always great to see when people reach their breaking point after being fiscally raped by the DemonRats, who have never been able to grasp the moral of Aesop’s Goose That Laid the Golden Egg fable. In these East Coast cases, the most popular destination is down here in Florida. The excellent weather is just an added bonus to the tax savings. A very common and costly mistake is when people hear something about a tax strategy and then think they can set everything up on their own, without the services of a professional advisor. This is a perfect example of the “penny wise pound foolish” adage. Over the past few weeks, I had some interesting email exchanges with readers who found themselves in the deep water after setting up S corps on their own. Here is one of them. I wondered if you could kindly answer a question for me. I’ve tried and tried to find the answer online to my exact situation, but I still feel confused.I am self-employed and I run a small business from home for 3+ years now. During the year I make quarterly payments on my federal taxes with vouchers. Then I simply file a 1040 under my name and SS number, and include the name of my business on my schedule c. Real simple. Well last year I stupidly got talked into becoming an S-corp (which isn’t even necessary for my small biz) and I got the approved S-corp election in the mail. It says it went into effect starting in May 2013. I never did anything with it and now want to just continue to file my usual 1040 and schedule c (sole proprietorship). I am the only owner of the business. I have no employees etc.. what do I do with this open S-corp status which I have never used or filed under? Also, as additional information, I did make my usual quarterly payments during 2013. I just need to know how to file as usual come April without going the S-corp route? How do I get rid of this S-corp status? Before I can advise, I need some more info. In order to file for an S election with IRS, you must have set up a new corporation or LLC. A Schedule C isn’t eligible for the S election. Please tell me what entity you filed the S election for and in what State. It was my already existing business which is a title searching company. As far as the schedule C is concerned I meant that this is a schedule I have been using each year along with my 1040, because I was just filing personal taxes. The s-corp was approved in may 2013 but I have never filed any returns as an SCorp, nor do I want to. I want to just terminate the SCorp status and continue to file as I have been all these years, as sole proprietorship under my ss#. If I understand you correctly, you filed the S election (Form 2553) for your sole proprietorship (Schedule C) business. That is not legally allowed and was an improper filing. The S election is only to be used for corporations or LLCs. Since the 2553 filing was improper (illegal), the S election was as well. You shouldn’t have to do anything formally to revoke an election that wasn’t legal to start with. If IRS does send a letter asking where your 1120S is, write back and explain your mistake in improperly filing the 2553. This is a perfect illustration of why it is so dangerous for small business owners to try to handle tax matters on their own. You should be working with an experienced professional tax advisor before doing anything that would affect your taxes, such as changing the tax entity. Any tax pro would have told you that an S election isn’t legally possible for a sole proprietorship. Good luck. I hope this info helps. Well I went from a DBA to an LLC to an SCorp. The LLC and SCorp transition took place at the same time. I did it on line. At that time that I could save money if I became an SCorp. Trying to find out if I can cancel the whole LLC-SCorp and file as a DBA for 2013 , like I have been all these years. Thanks for the additional info. What I am going to say is based on the info you have provided and should be verified by a professional tax advisor who can look at the actual paperwork you have regarding the LLC and S-Corp with both IRS and the State of Florida. There may be another wrinkle to this that you don’t see. If the paperwork checks out, it looks like you can probably just ignore the S election with IRS and continue to file your business activity on Schedule C with your 1040. IRS may send you a letter asking where your 1120S is for the S corp. You can simply respond that the election was done in error. If your business is profitable, IRS has no motivation to force you to use the 1120S because the Schedule C almost certainly results in more tax revenue for them, especially considering the SE tax that would be avoided with an S corp. I hope this helps. Again, you should start working with a professional tax advisor ASAP who can assist you in a more timely manner in matters such as this. Thank you so much for your help. I was also doing some research and pretty much came to the same conclusion. And yes Realize I have to dissolve the corp with the Florida dept of state and started researching this too. Thank you for the link you sent below. Again I appreciate your time and your excellent suggestions! Her 15 minutes of fame as the alleged IRS criminal mastermind continue. If nothing wrong was done by IRS, as BHO contends, why is she so scared to speak publicly about her deeds? IRS agrees to hand over Lerner emails – Of course, they will be heavily redacted so as to be worthless. 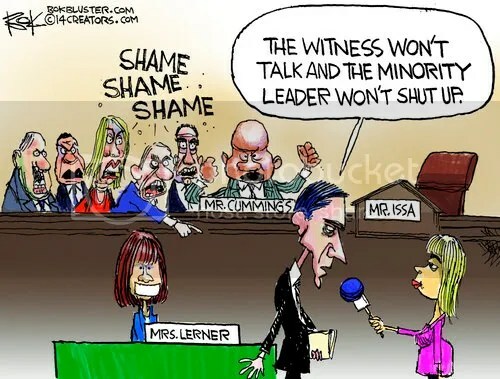 ABC and CBS Ignore IRS Scandal Hearing; NBC Frets Over Darrell Issa Cutting Democrat’s Mic – Doing their job of covering up DemonRat crimes. Lois Lerner: The Face of Liberalism – Rush Limbaugh’s take on Ms Lerner. The IRS Outrage. Behind the Obama administration’s sham inquiry. Issa, Cummings clash at hearing after ex-IRS official Lerner takes 5th. What will Lois Lerner do at Wednesday’s Oversight hearing? Will former IRS official Lois Lerner testify at IRS scandal hearing? While the MSM continue their job of covering up the misdeeds of their Fellow Travelers in the JackAss Party, I’m glad to see there are still some people trying to shed some light on the crimes undertaken by IRS personnel on behalf of the out of control BHO Regime. It probably won’t change anything; but eventually more of the public should reach their tipping point when it comes to abuses of power by the current pResident in the White House. Trey Gowdy: IRS’s Lois Lerner Will “Never” Get Immunity – However, she’s all but guaranteed a presidential pardon if she were to be prosecuted for her crimes. The targeting of groups opposed to the Democratic agenda has not ended—it’s gotten worse. Christine O’Donnell: I was a victim of the IRS – The Dims actually like this kind of publicity. It is intended to scare off anyone thinking about running for office to clean up their corruption. DemonRats fight dirty and cheat every chance they get in elections; so there is no private and confidential info that they won’t use to their advantage. Echoes of the IRS in the FCC Snooping Scandal – A reminder that IRS is just one of hundreds of different governmental agencies used by the Regime to attack its perceived enemies.